Welsh region the Ospreys will be playing for the pride of Wales this weekend when they host last season’s runners-up Clermont in the European Champions Cup on Friday. 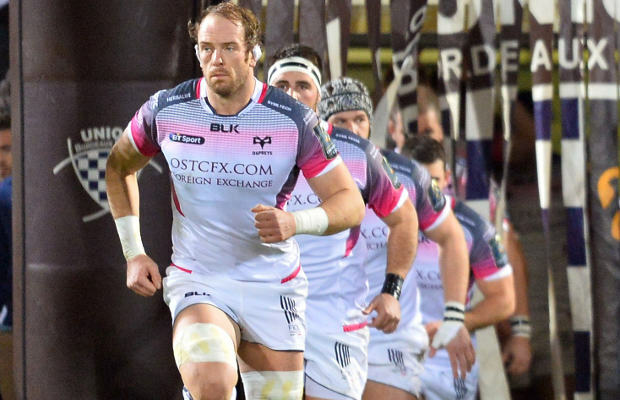 The Ospreys trail Clermont by two points at the at the top of a tight Pool 2 and a victory for the Welsh side in Swansea could see them rise to the top of the pool. It is four years since a Welsh team has reached the knock-out stages when Cardiff Blues were thumped 34-3 by Leinster in the quarter-finals. Ospreys last got that far two years before that when they were narrowly edged out 29-28 by Biarritz as Dan Biggar missed a last gasp drop-goal attempt that would have won the game for the Welsh region. But Steve Tandy’s team have a very real opportunity to end a painful run of pool stage misery, although they do face a tough trip to Exeter Chiefs in their final game and the English outfit could also be playing for top spot in the group if they beat Bordeaux-Begles on Saturday. Ospreys know they have their work cut out against Clermont, beaten finalists in two of the previous three seasons, but full-back Dan Evans says there is belief in the team, despite their Celtic League struggles this season — they sit seventh after losing 22-9 at home to Leinster last weekend. “They (Clermont) are one of the best teams in Europe and we know they will punish any mistakes we make,” said Wales international Evans. “It’s about us putting pressure on them and playing in the right areas. We need to put them under pressure and make them feel uncomfortable. “We have a point to prove on the performance front after losing to Leinster at home last weekend. But we are buzzing and fully confident. Clermont won 34-29 when the teams met in November in France but in the previous five meetings between the sides, the home team has always won. 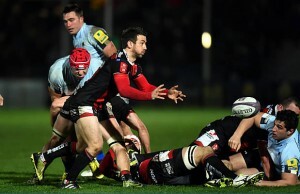 Top spot in Pool 5 will be up for grabs when champions Toulon host Wasps at the Stade Mayol on Sunday. Both sides have three wins and one defeat so far but Wasps are two points ahead of the three-time consecutive champions due to bonuses. They also won convincingly 32-6 when the sides met in Coventry back in November but Toulon eliminated Wasps 32-18 at the quarter-final stage of last year’s competition as Frederic Michalak kicked 22 points. 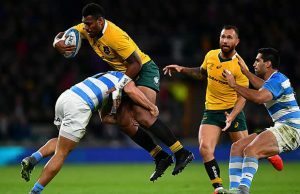 “Not many people are talking about us going to the home of the European champions and coming home with a win,” said Wasps back-rower Guy Thompson. “But we are always confident in our ability and this team has so much talent and we are finding out how we play as a group. French champions Stade Francais travel to Munster on Saturday needing a win to keep their qualification hopes alive. They trail Leicester by four points at the top of pool 4 and with the English side hosting Italian whipping boys Treviso, a bonus point victory that would send the twice previous winners into the knock-out stages is likely. Stade kept their chances alive as they battled for the entire second half with 14 men to beat Munster 27-7 in Paris last weekend. The Irish province are out of the competition now but will certainly not lie down for Stade at their imposing Thomond Park home. Saracens, runners-up in 2014, can secure their quarter-final berth and top spot in Pool 1 if they beat Ulster at home on Saturday. But the Belfast side are the only Irish province still in contention for the knock-out stages and must win or see their hopes taken out of their own hands. Racing 92 can also ensure their progress from Pool 3 when they host Scarlets, the Celtic League leaders who have lost every match in Europe this season and are already eliminated.